It is guest post day here at Duct Tape Marketing and today’s guest is Amy Daniels – Enjoy! The most effective managers recognize the importance of motivating their employees. As you head into what will hopefully be your most successful year yet, consider the following advice to get your employees truly on board with your plans. 1. Treat motivation as a complex topic. Don’t fall into the trap of assigning a predetermined motivation to your employees. If your newest member to the team seems to focus on financial stability, don’t label him as an individual motivated by money. Dig deeper than that. Perhaps he wants to provide a better life for his kids than his parents did for him, or maybe he wants to get out of his comfort zone and travel to new countries. No article can predict what really brings out the ambition in your people. 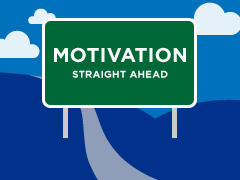 Treat motivation as a complex topic with deep roots, and take the time to slowly unravel what gets your employees into gear. 2. Encourage working smarter, not harder. You have the ability to impart invaluable experience on your employees. If you find yourself regularly uttering something along the lines of, “Let’s work harder,” you may need to re-evaluate your strategy. Give your employees an environment with resources, support, and stimulating challenges – all while emphasizing community and purpose along the way. 4. Take care of your people. While I won’t tell you that incentives are always the best way to go, it’s important to remember that employees can lose motivation if basic needs are neglected. Pay your people well, listen to their concerns, ask them to evaluate you, let them know they have a certain level of job security, and treat them kindly. See the potential in them and nurture it until they begin to see it for themselves. 5. Become a genuine friend. Of course, you may not relate to your employees the same way you’d interact with your buddies on the weekends. But when you make a sincere effort to understand your employees and treat them like more than a dispensable resource, they’ll begin to take ownership as a valuable asset. You can’t make every second of the job a thrill ride for your employees, but you can and should challenge them, explain your thought process, learn about their personalities, make yourself available, and ask them questions beyond the small talk you save for awkward social gatherings. 6. Introduce – rather than enforce – your plans. January is all about planning and organizational development at Duct Tape Marketing. As you draft out your quarterly goals and analyze where your strategies could use tweaking, try letting your employees be a part of the process. Recognize their creativity and intelligence and allow their input to morph your original agenda. You won’t always be able to follow this process. If the topic isn’t something that they can alter, present it in a way that encourages thorough questions and feedback. 7. Push yourself to become a better boss. Ultimately, look for opportunities to improve a day in the life of your employees. Keep their aspirations at the forefront of your mind and consistently watch for ways to strengthen their skills. 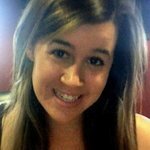 Amy Daniels is the content writing manager at web marketing company StorageAhead. She oversees a team that creates and amplifies compelling online content. She will do almost anything to shy away from a boring workday and believes that her team deserves the same challenge.